So what areas of 2 o'clock are private? If I stay in the water south of 190 am I ok? what about the open water areas near the launch just south of 190, are those public? If I stay in the water south of 190 am I ok? That's my understanding. Like I said, I've never been. I'd like these details also. Gottcha. Well I'm definitely going to look into it and make a trip out there. Its only about 35 mins from my house. Little and Big Alabama are only about 45 mins away. This is probably a stupid question, but if I have a WMA Hunting pass, am I good to go in Shurburne or is there a separate WMA Fishing license I need? You just need a regular state fishing license. Just have to self check in and out. Thanks. I'm going to check out these locations while the water in Henderson is high af. just by looking at google images, I'm really looking forward to Little Alabama. The water color there looks nice. 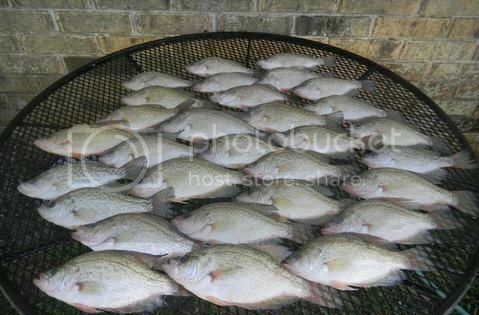 I heard it can be real good at times for bream and small bass. But it can be hit or miss. Some good sized bass have been caught out of there though. There are a couple to be caught. Where is this half moon yall keep mentioning? Launch at 2 o'clock and just go south west? on google earth, it doesnt look like there is much water once you get to close lake and craft lake. Ahh, okay. you can't get there from the 2 o'clock launch, can you? is there a launch at the coordinates in the link? it looks like there may just be a couple camps there? There is a pay launch ($3 or $5 dollars) just south of red marker by the small bridge. The tree is covering the launch. There's a landing by the bridge on the old 190 road. You can see it when you zoom in on the map. Thanks! Looks like I have some fishing to do, between there, 2 o'clock, and big and little alabama. The OB comes through yet again. Thanks, gentlemen. Bookmarked so I can report back. Hopefully with good reports. and suggestions on bait to fish in these areas? For bass in small bayous like that, I've always had good luck with a speed craw. A senko would probably do some damage too. Can't go wrong with a white/chart spinnerbait also. Crappie I'm not too sure. I usually fish them with live shiners, but have had luck on black/chart and blue/white jigs in Henderson. Heck, if I knew I could get away with it I'd ask when you're going and come with you. But between work and family, I never know when the heck I'll get to go fishing. Good luck baw! Thanks. I'm taking the afternoon off either tomorrow or wednesday and gonna go to either halfmoon, 2 o'clock, or little alabama. is your initials irl RP?